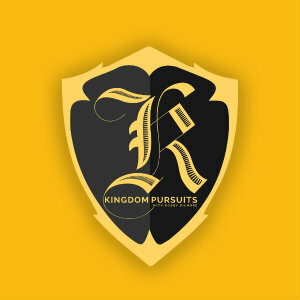 Kingdom Pursuits,where you hear from ‘ordinary’ people instilled with an ‘extraordinary’ passion. Together we explore the stories of men and women who take what they love…and let God turn their passion into Kingdom Pursuits. One of Robby’s greatest joys is sharing devotions with the residents of Somerset Assisted Living in Mockville, NC behind his former dealership and Charing the CBMC (Christian Business Men’s Committee) there. He also has rejoiced in teaching the Special Needs Sunday School Class at Calvary Baptist Church in Winston Salem for many years. Both Robby’s Hobbies and The Christian Car Guy Radio Show are syndicated nationally on Many radio stations with live streaming on the internet and podcasting available on ITunes and over many other outlets. His 30 second helpful tips feature, Stayin on The Highway is now also syndicated. Robby has been interviewed for the Christian Car Guy perspective across hundreds of other radio outlets including the Fox Radio Network, Financial Life Line, The G. Gordon Liddy, and Lars Larson radio shows even a National TV appearance on Fox and Friends. The Christian Car Guy Web site provides Godly counsel with hundreds of articles on everything from gas saving tips to how to be a four stroke Christian. Robby’s articles have been quoted in blogs from the Los Angles Examiner to The Autoblog.NL Germany’s most popular Automotive Blog. Kingdom Pursuits airs on the Truth Radio Network every Saturday from 11am to 12noon eastern time. Click HERE to listen live online during those times.